When it comes to gaming on the go, most gamers would prefer having a gaming laptop on hand. It allows them to enjoy playing their favorite video games. But sometimes, it comes with a sacrifice in terms of a smaller display and in some other features. It helps when some gamers are able to enjoy as close to a gaming experience playing with a gaming rig as with a gaming laptop. 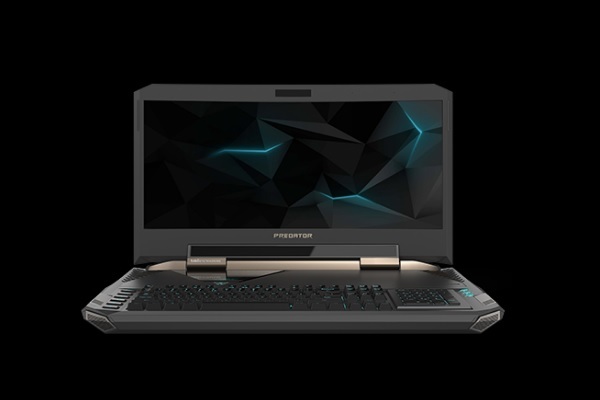 It may be something that this new Acer Predator 21 X gaming laptop will be taking above the others. The new Acer Predator 21 X is a ridiculous gaming laptop in more ways than one. First, it comes with an incredible 21-inch curved display, the very first gaming laptop to have such a large screen size. Not only that, it has hardware features that is comparable to a number of gaming desktops. It features a 7th Gen Intel Core i7 overclockable CPU, two Nvidia GeForce GTX 1080 GPU’s, two power supplies, 5-storage drive support, a mechanical keyboard, two DisplayPorts and an HDMI port, as well as four speakers and two subwoofers. Describing it would be like describing a gaming rig. But despite its size and weight of 19.4 pounds or 8.8 kilograms, it can still be considered as a gaming laptop, not just as portable as most gamers may expect. The Acer Predator 21 X gaming laptop is anything but ordinary. Even its price are only for the more moneyed of gamers out there. This huge gaming laptop has been on display at the recently concluded CES 2017 in Las Vegas. It is expected to hit the stores sometime in February of this year. Interested gamers may need to fork up around $9,000 to get one and enjoy.